Episode 39 needs no introduction. LAET speaks for himself. 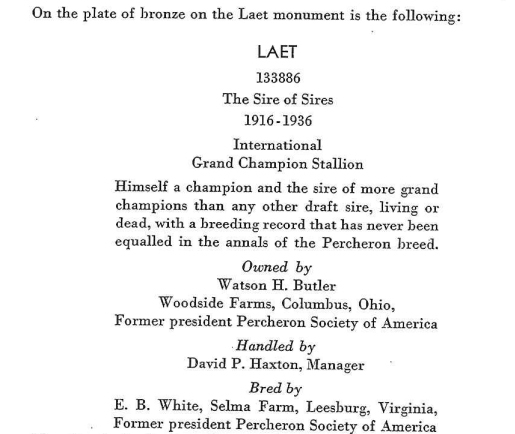 This great stallion accomplished perhaps more in his time than any stallion before or after, living or dead. 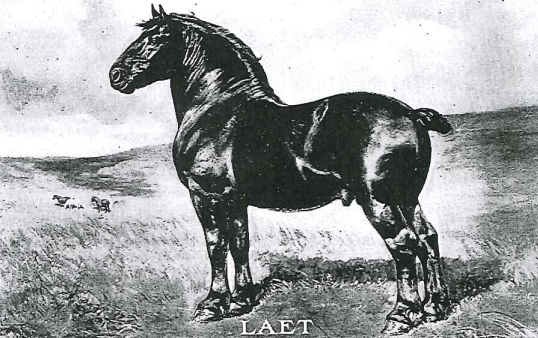 LAET was a sire of sires, a massive, great stallion with pedigree, performance and dominance in the ring and the breeding shed. This week we are joined by Steve Haxton, the grandson of Dave Haxton who was the herdsman at Woodside Farm for Watson Butler, the owner of Laet. Steve gives us a first hand account of his grandfathers experiences with the horse and shares with us some amazing information and history. 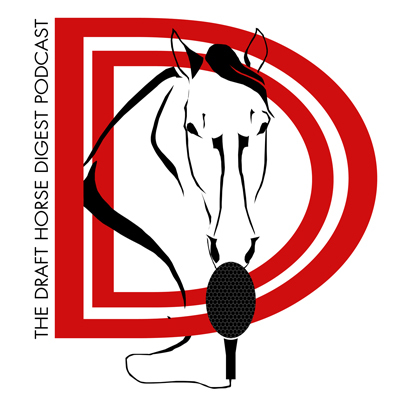 This is one every draft horse enthusiast needs to hear! 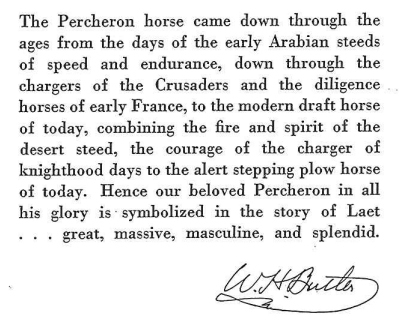 Below are pictures from the book Laet: A Percheron Legend, written by Charlotte Livingston for Elizabeth Hubbard Butler II. Great Chieftain of his clan. Oh, picture him, if you can! That’s him, just the same. The mound of a grave on the hill. Is no more a care. I know you safely hold. 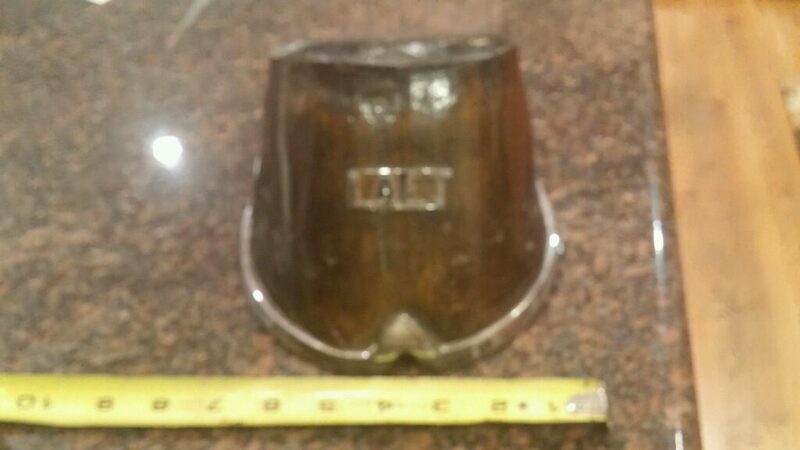 The crown the “Old Horse” wore. By La Belle, that was sacred to me. But-Oh, how deserving he is of his rest. LAET, Old Boy, we loved you the best. 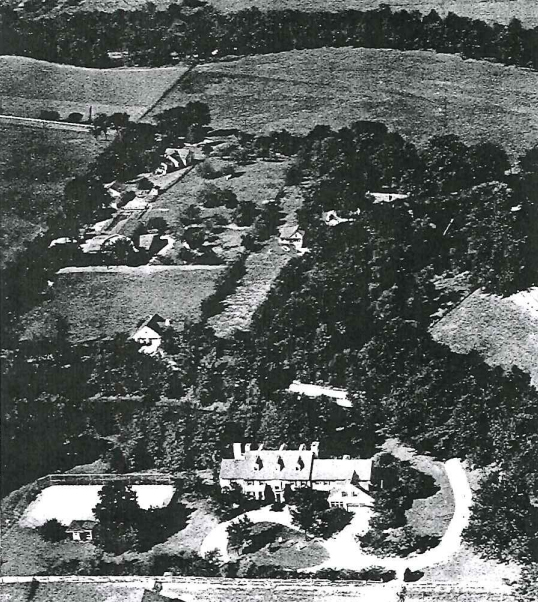 Woodside Farm where Laet would go to live after leaving his place of birth on Selma Farm in Leesburg, VA. The farm was owned by Watson Butler and managed by David Haxton. 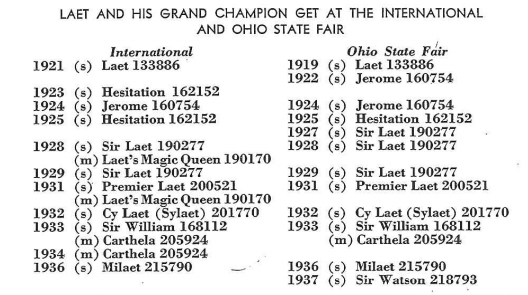 The great Laet, known as the Sire of Sires. 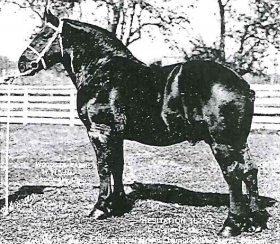 Undoubtedly the most influential stallion in the early years of the registry. 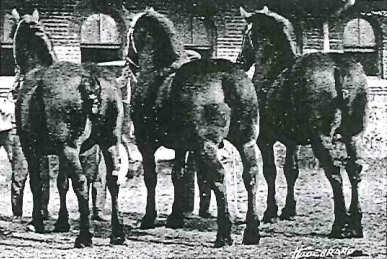 Laet’s mother (Left), Couceorous, with her two Grand Champion sons, Laet’s brother Treviso and Laet. 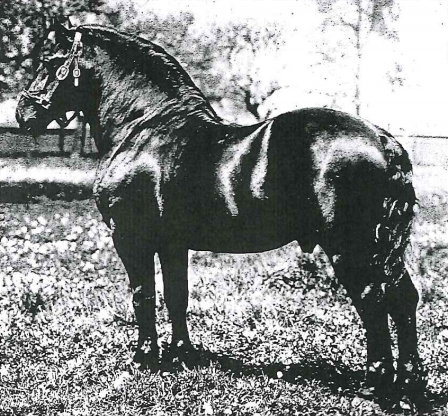 The stallion Dragon, whose daughters would prove to have the “nick” to cross with Laet and produce some of the best horses of the time. 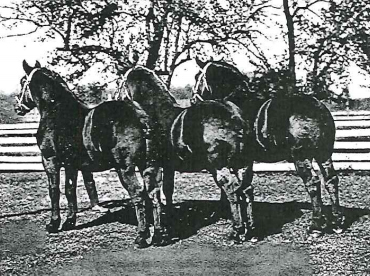 The band of broodmares purchased and brought to Woodside after the acquisition of Laet. 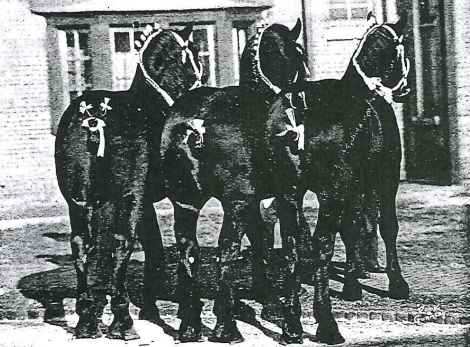 L-R are the famous mares Syncopation, La Belle, Perfection, Intrepid, Couceorous, Belle Dragon, and Perfect. 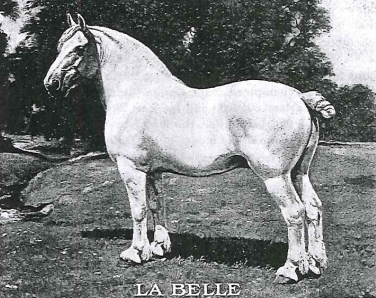 La Belle, Dave Haxton’s favorite mare, she was said to have never been out of position. 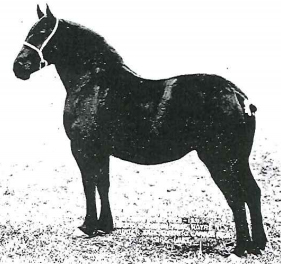 She is a mare that has the style and femininity to compete even today. 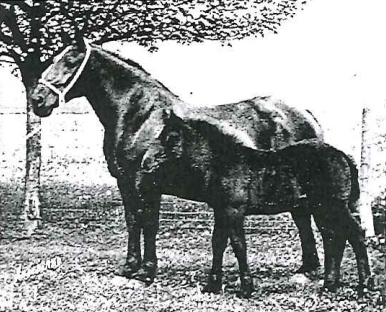 Perfection, a mare that would produce some of the most winning get of Laet, shown her with her daughter Perfect. 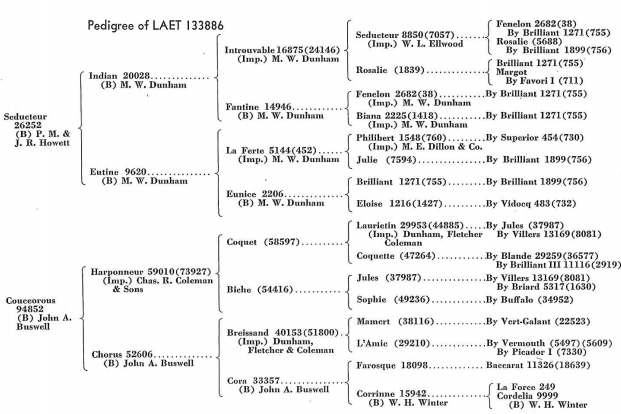 Hesitation, one of the celebrated sons of Laet. 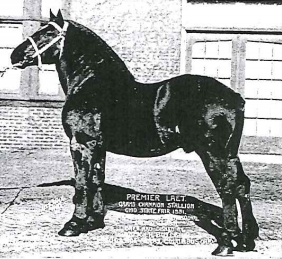 Premier Laet, one of the best show sons of Laet. 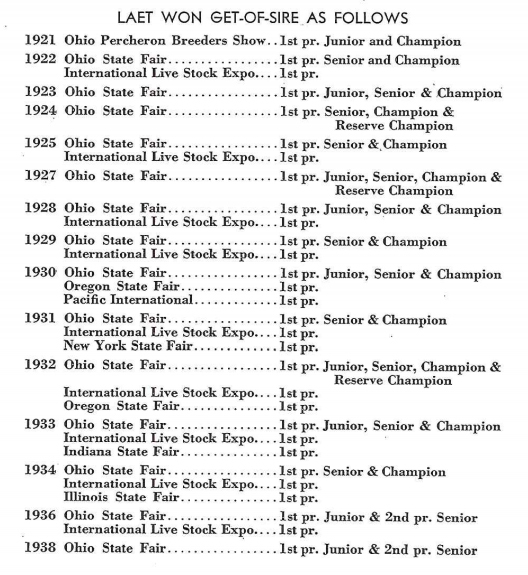 Champion Get at the 1936 International, sired by Laet. L-R, Milaet, Cy Laet, and Sir Watson. A painting of Laet later in his life. 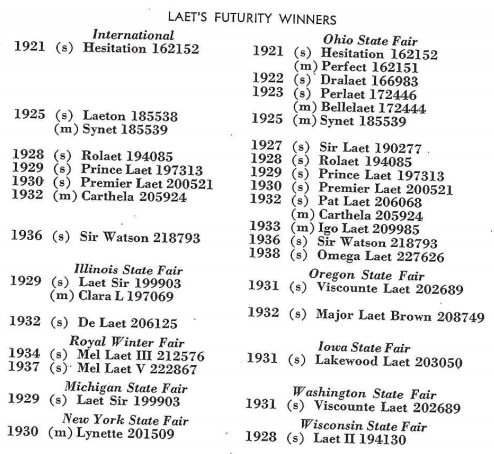 Laet’s Magic Queen, a phenom in the show ring, 2x champion at the Chicago International. 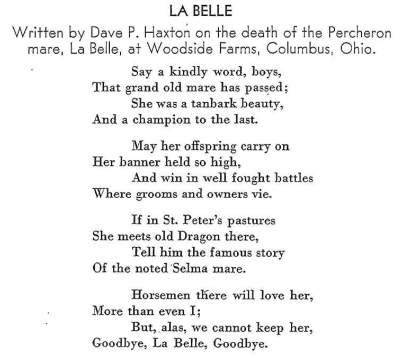 A poem penned by Dave Haxton in memory of the great mare La Belle. 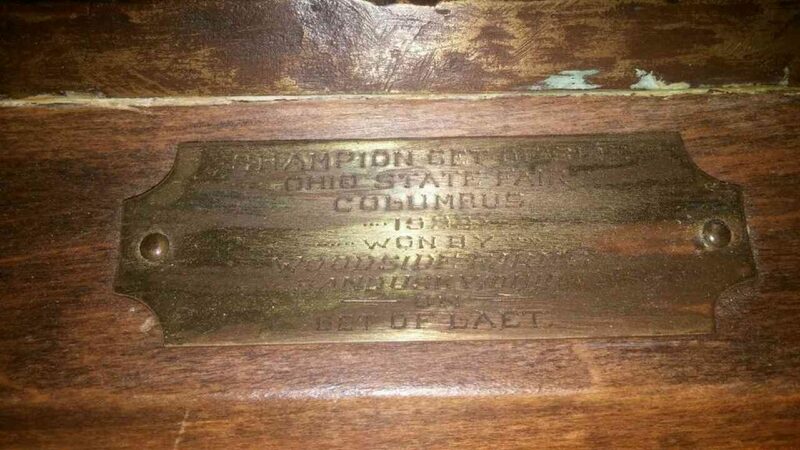 The name plate on one of Laet’s Champion Get trophies from the Ohio State Fair. 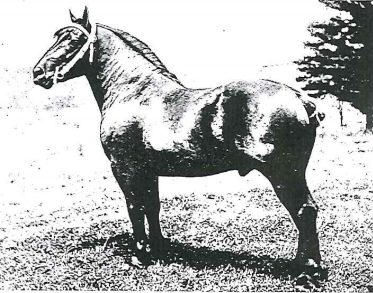 One of the hooves amputated from Laet after his death. 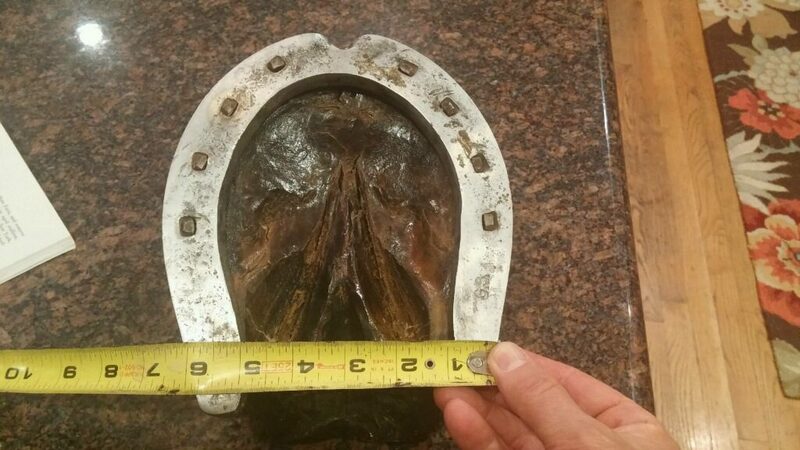 The underside of Laet’s hoof. 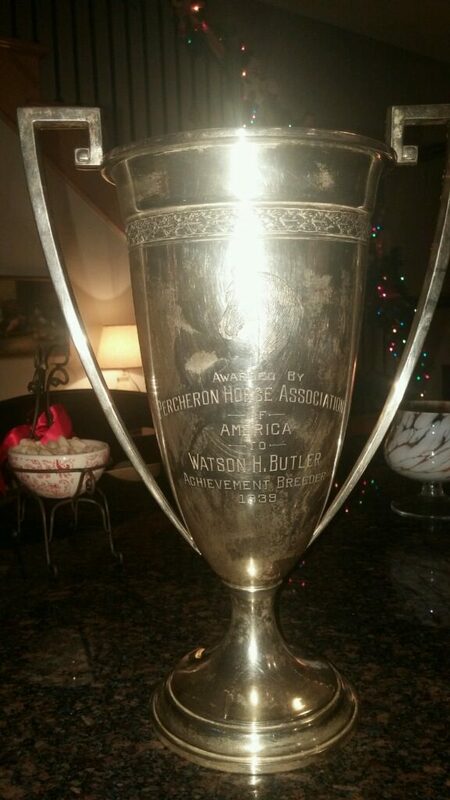 Trophy present to Watson Butler for his breeder achievement. 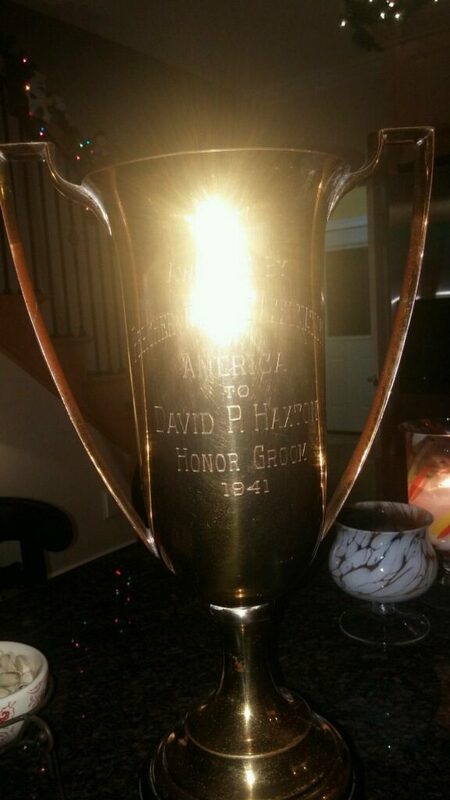 Dave Haxton’s Honor Groom trophy presented by the Percheron Horse Association of America in 1941.